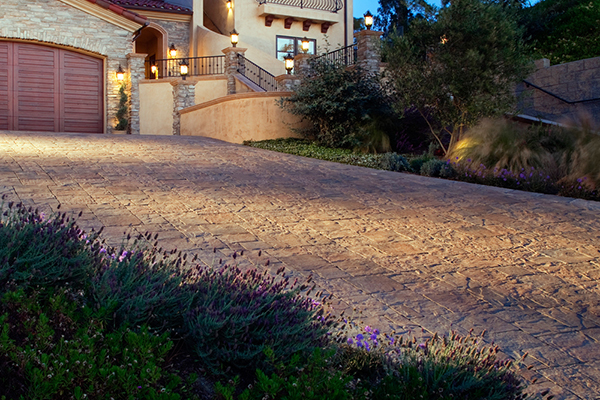 Here at The Paver Company, we are proud to be your driveway paver stones source of choice in Folsom, CA. 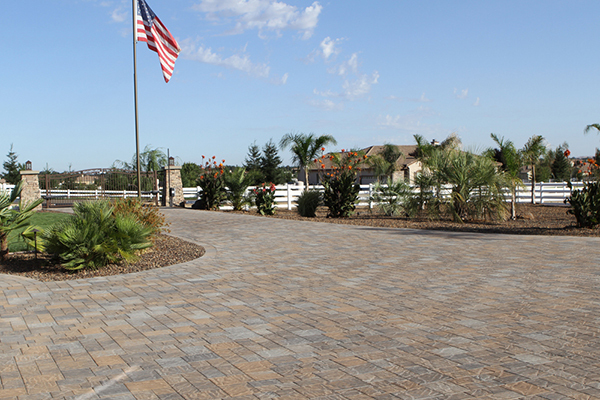 We offer a wide variety of paver stone styles and designs so that you can get the ideal driveway for your needs. 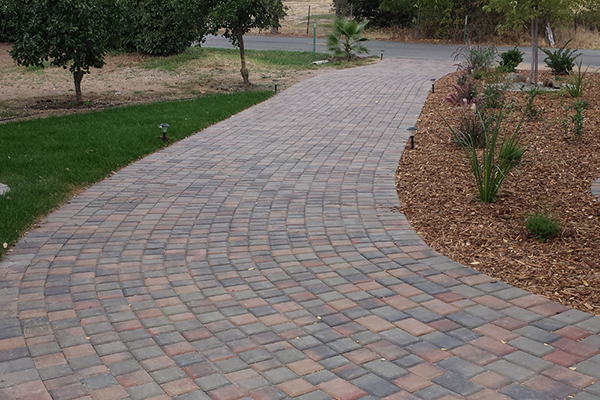 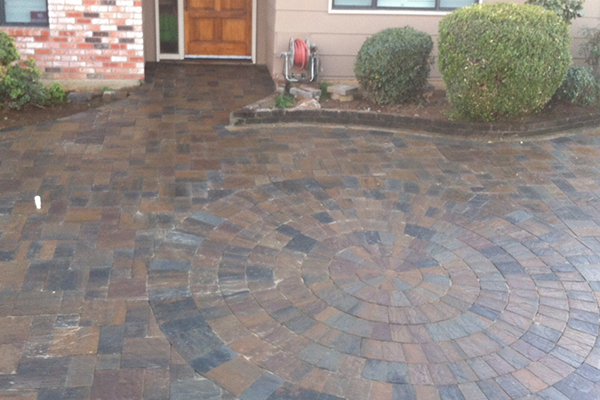 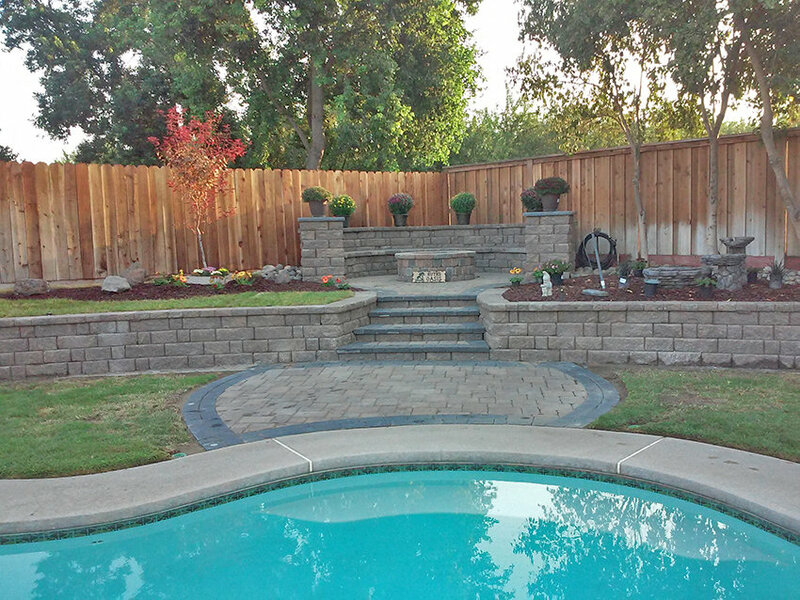 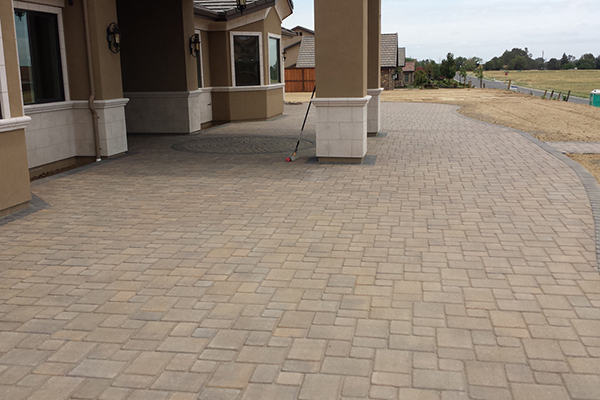 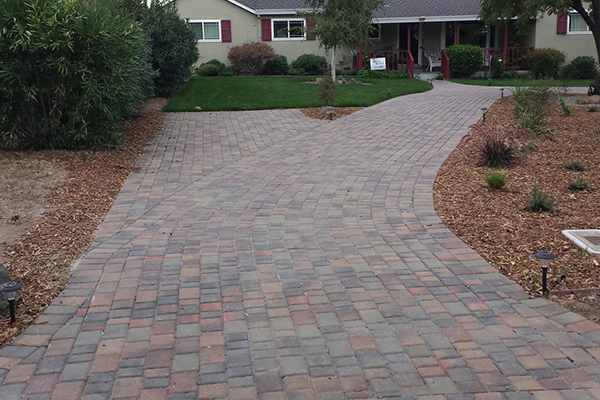 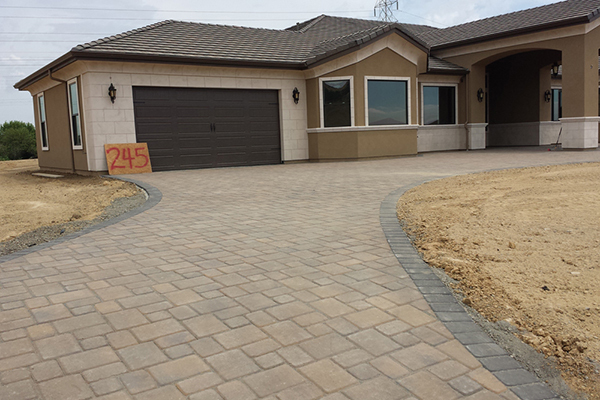 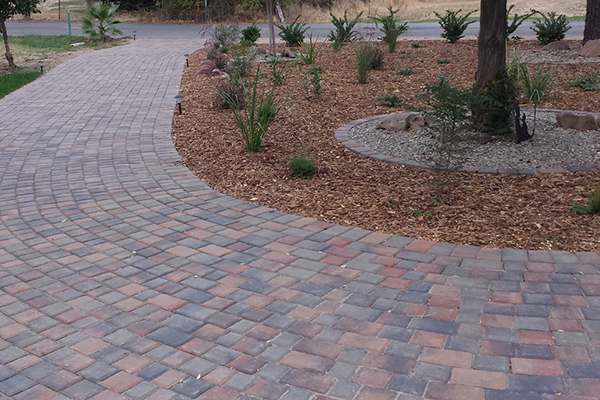 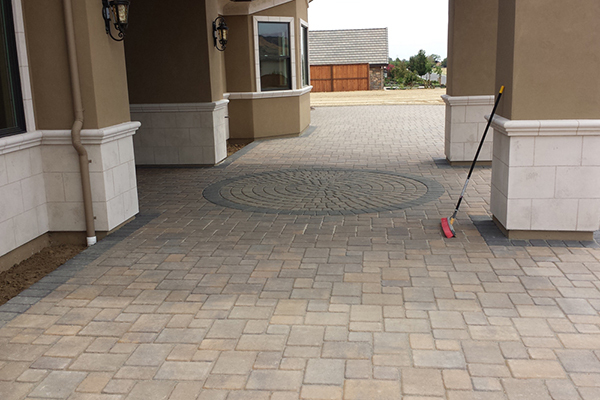 Do you want your driveway to match or blend in with the stonework on your Folsom home? 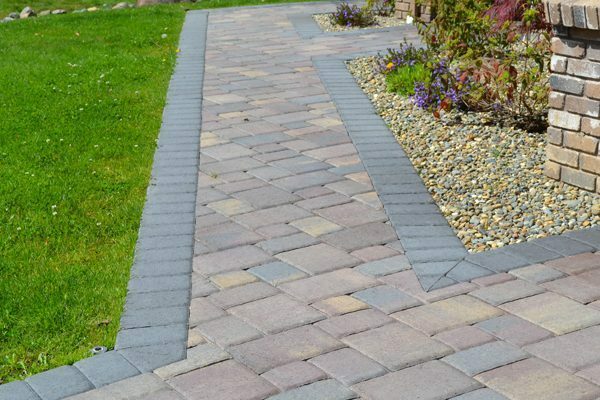 We will be happy to work with whatever design constrictions and requirements you have to make sure you get a driveway you will be happy with for years to come. 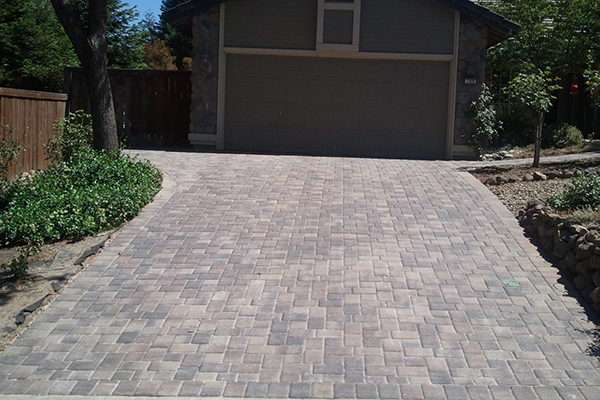 The standard material for making driveways in Folsom is plain white concrete. 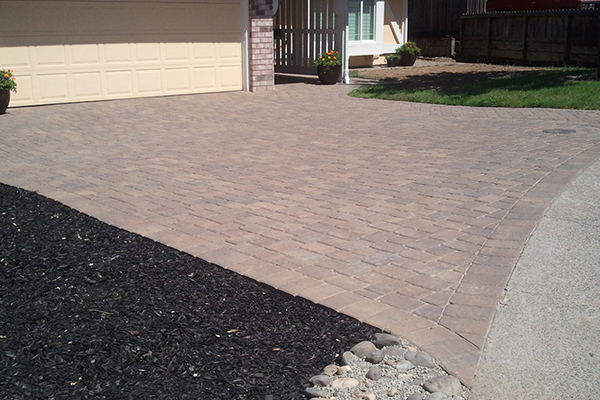 But many homeowners in Folsom do not realize that paver stones are very good for driveways. 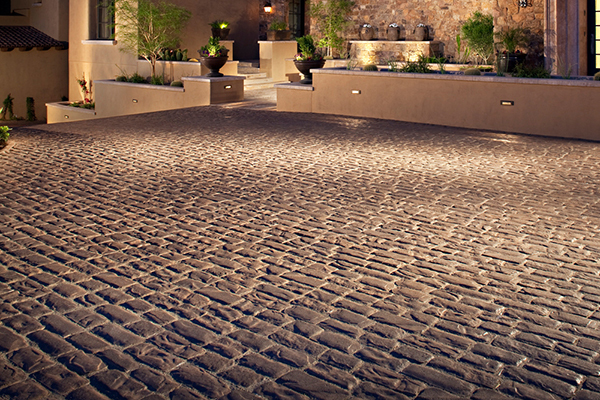 Paver stones are, of course, much more stylish than plain white concrete. 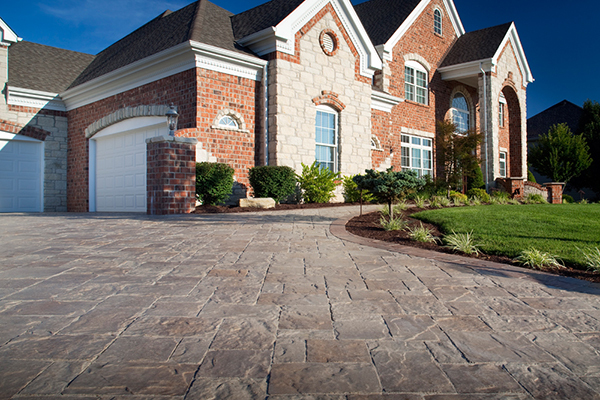 They are also easier on your tires, which is an important point when your car spends so much time in your driveway. 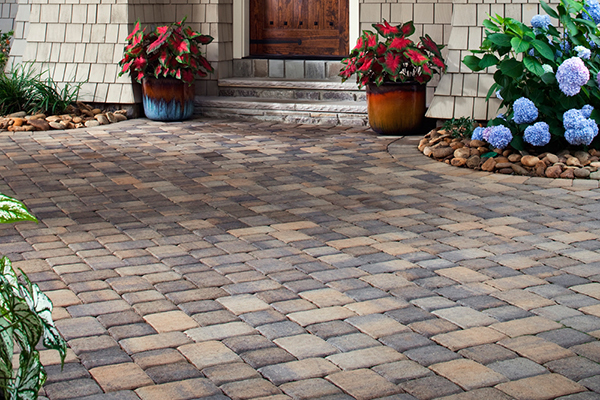 Paver stones add curb appeal to your home, which in turn increases your home’s value. 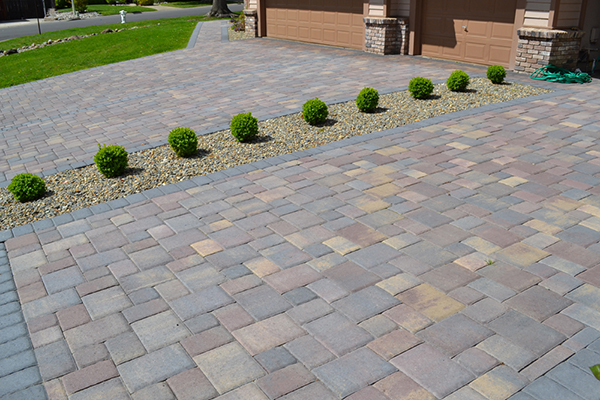 If you go to sell your home, you will likely be able to get a higher price for it simply because you have a paver stone driveway. 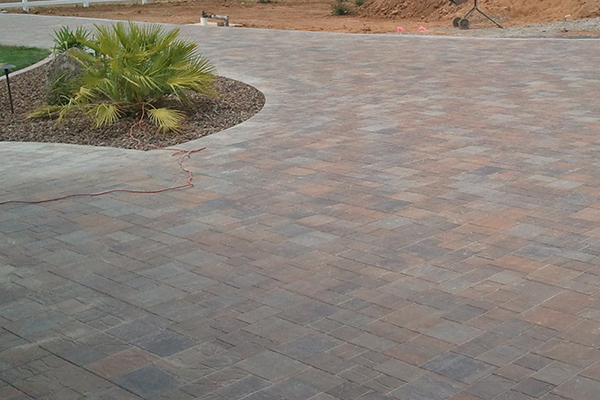 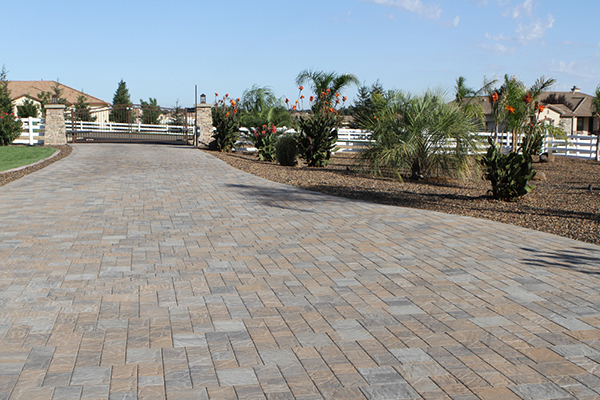 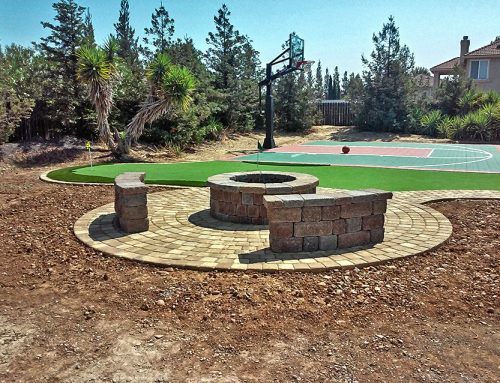 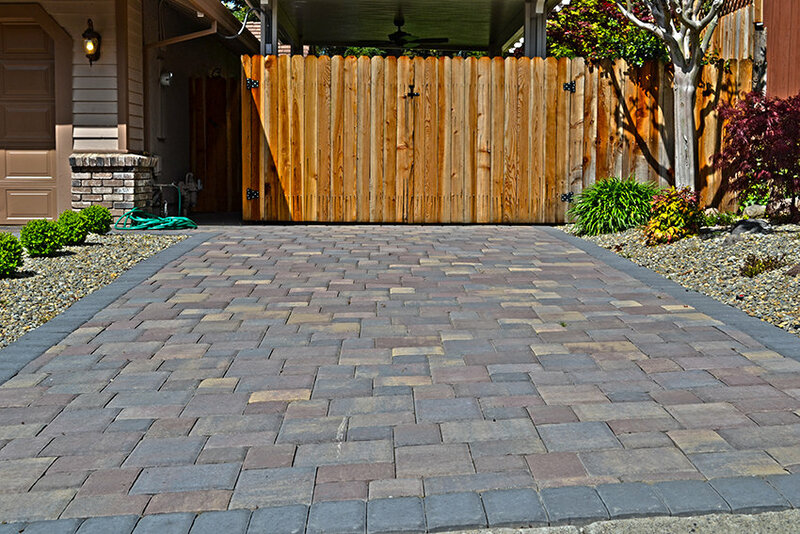 There are also different styles and designs of paver stones that you can choose for your Folsom driveway. 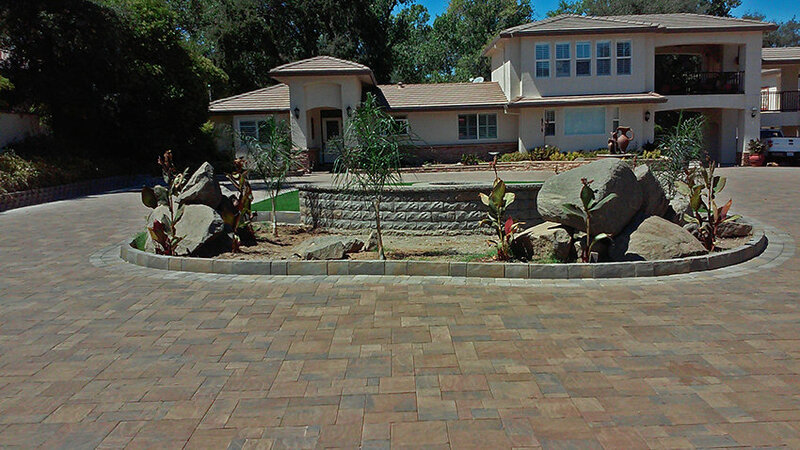 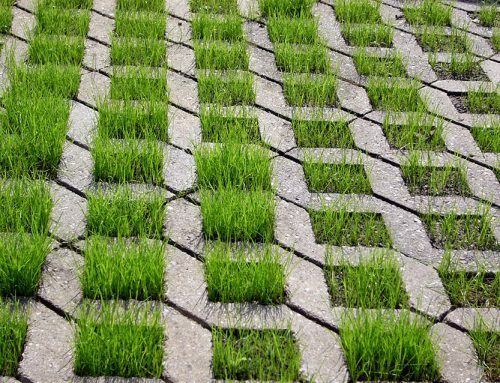 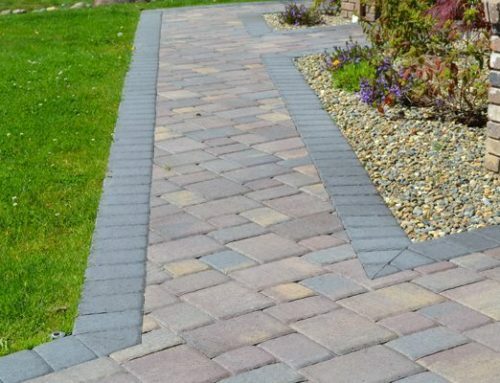 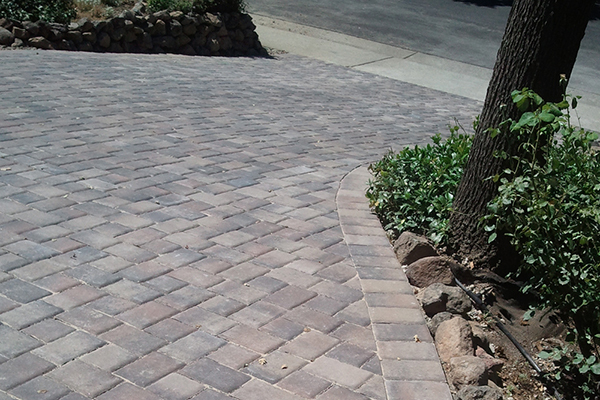 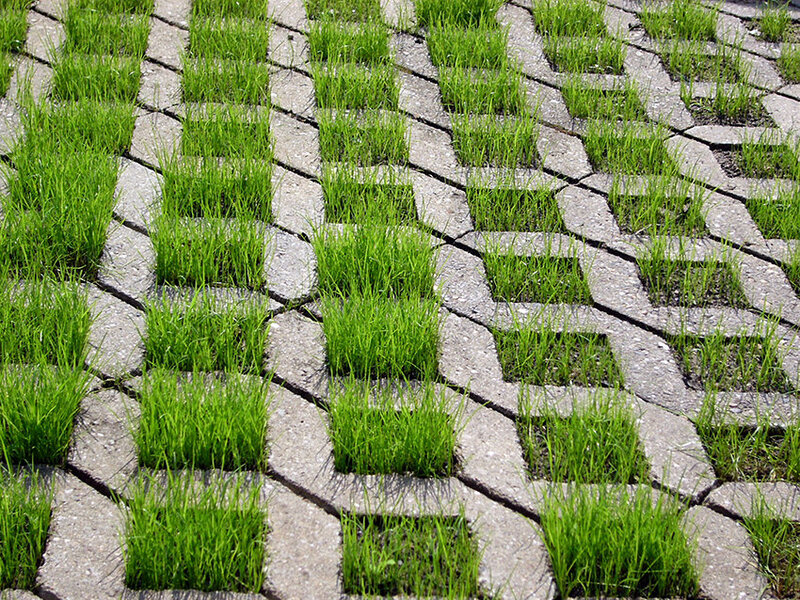 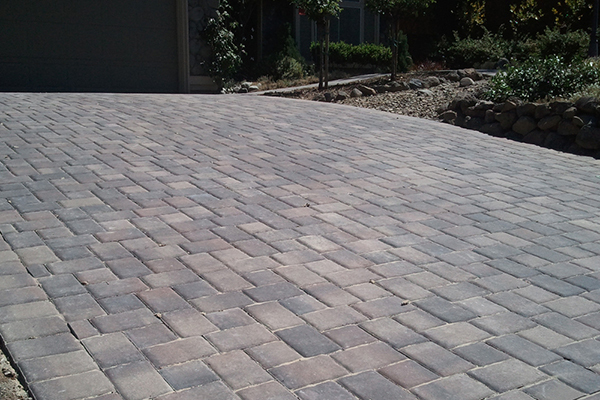 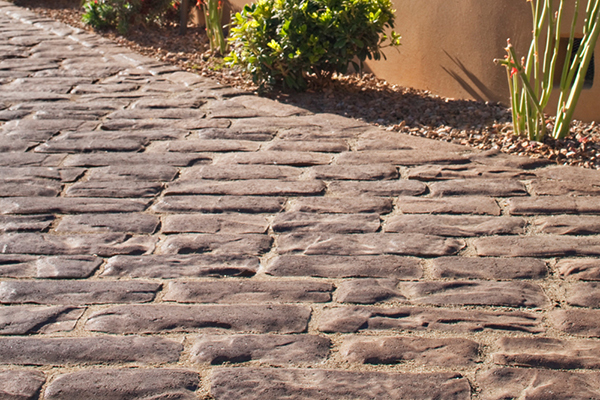 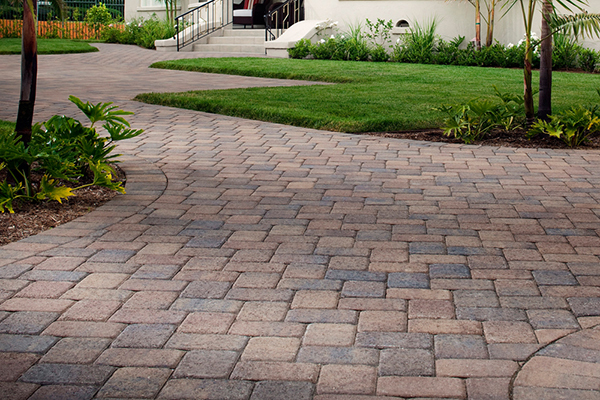 One of the most popular kinds of paver stones for the driveway is permeable paver stones. 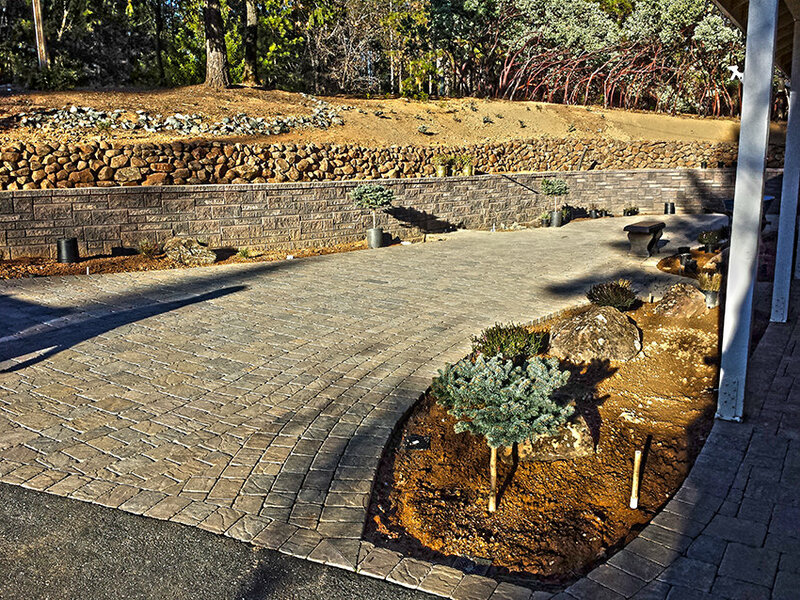 These high-quality paver stones actually let water seep through the joinings between them to the deep gravel bed underneath. 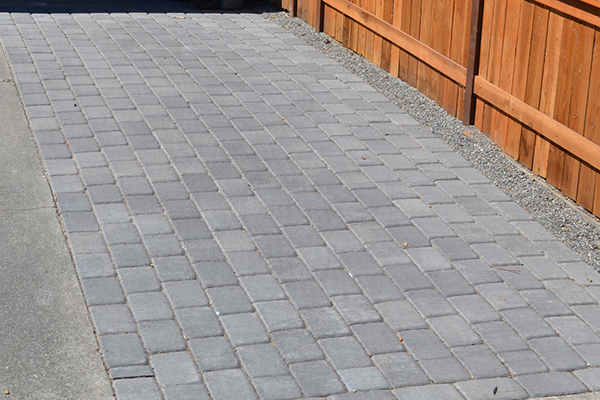 For areas that need extra help with drainage, a French drain under the gravel carries the water away quickly and efficiently. 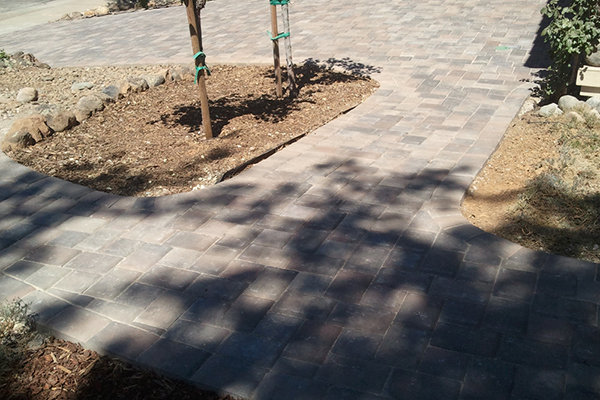 This means that water does not pool on the permeable pavers. 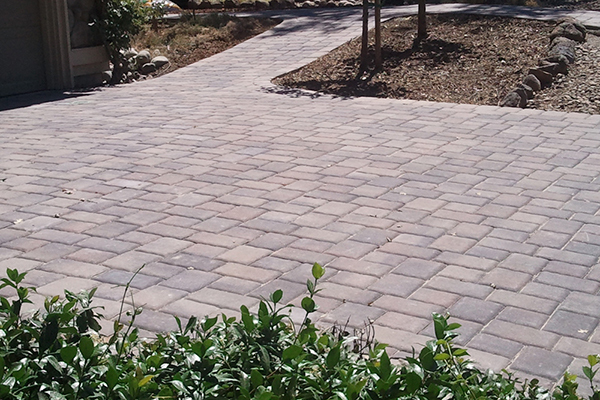 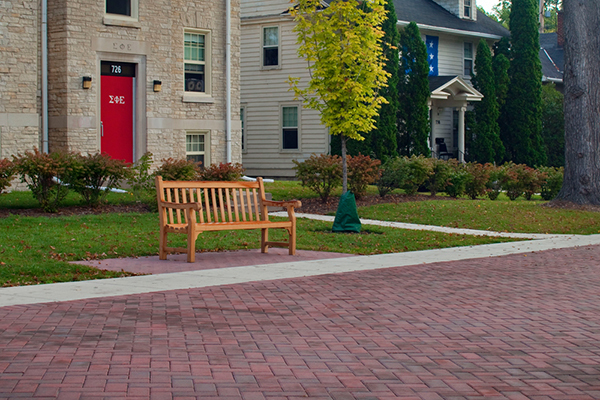 These pavers help to prevent runoff, which can cause safety problems. 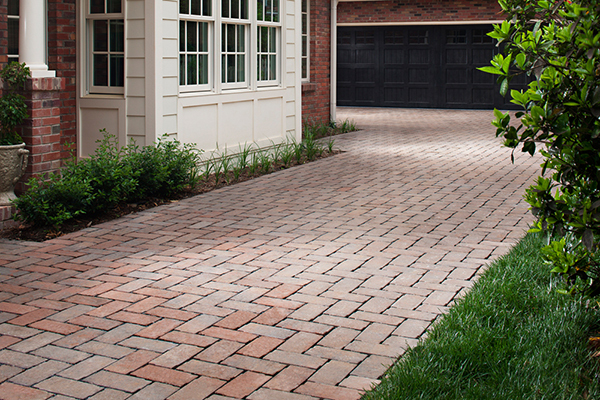 With permeable pavers on your driveway, you do not need to worry about slipping on your driveway if it is wet outside. 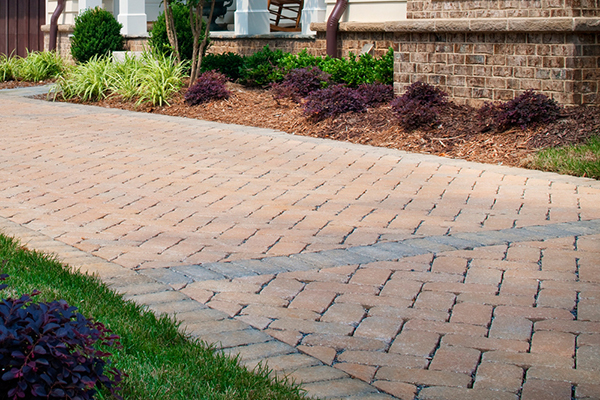 You don’t need to be extra careful when you have been watering. 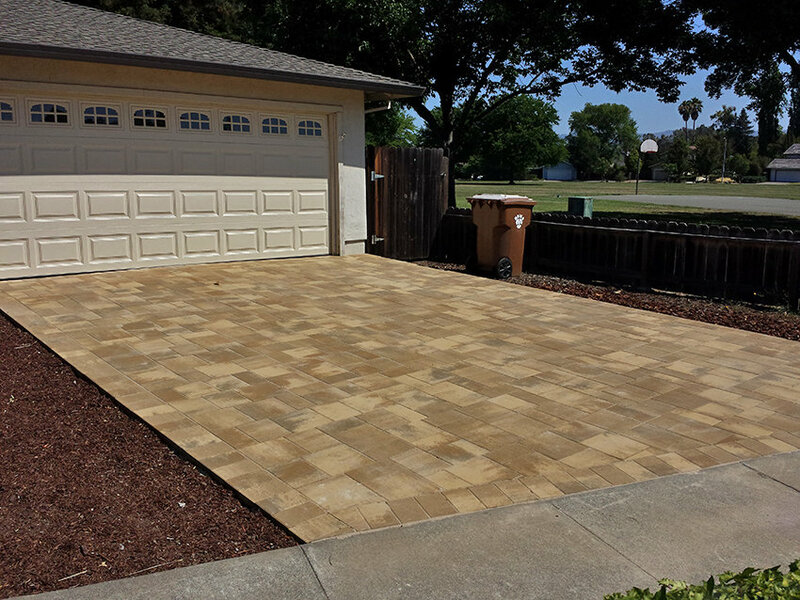 If you put permeable pavers on the driveway of your Folsom business, you will be helping to keep your customers and employees safe as well, which reduces your liability and helps to keep people from getting hurt on your premises. 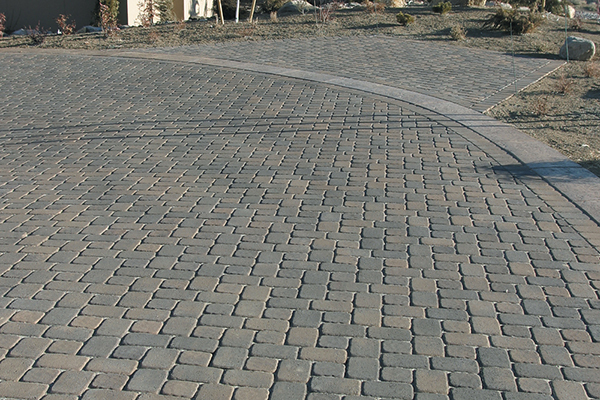 Here at The Paver Company, we have many different paver stone driveway designs for you to select from. 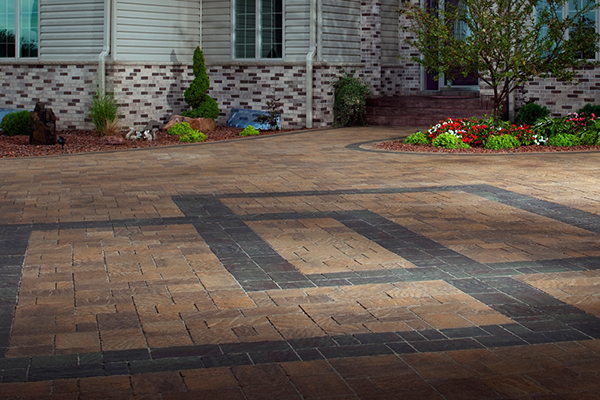 You can choose different paver stone colors and textures to achieve whatever natural, earthy, sleek, or sophisticated look you are going for. 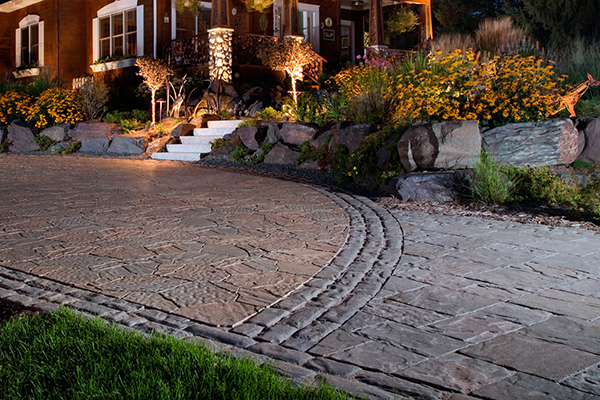 You can also choose different layouts for your stones to give the perfect look. 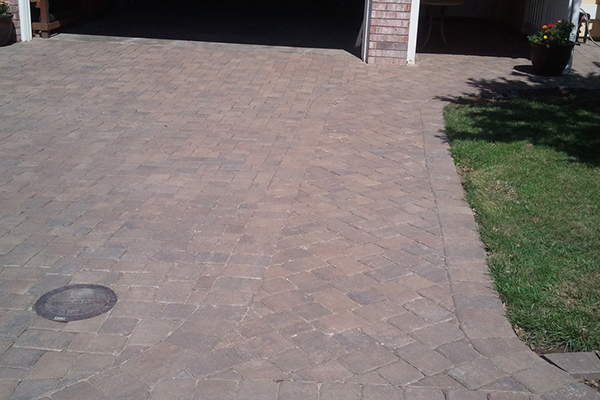 If you want something classic and old-fashioned, the herringbone design might be perfect for you. 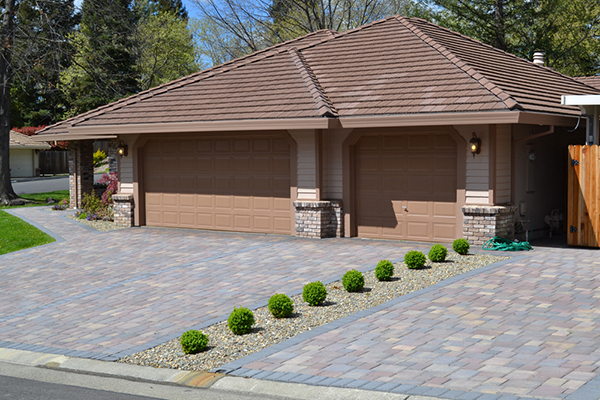 You may want a traditional brick layout. Or you may want something completely unique. 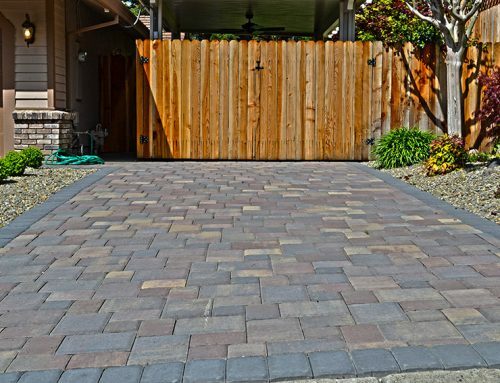 Check out our photo gallery for different design ideas and to see what is possible for your Folsom paver stone driveway.